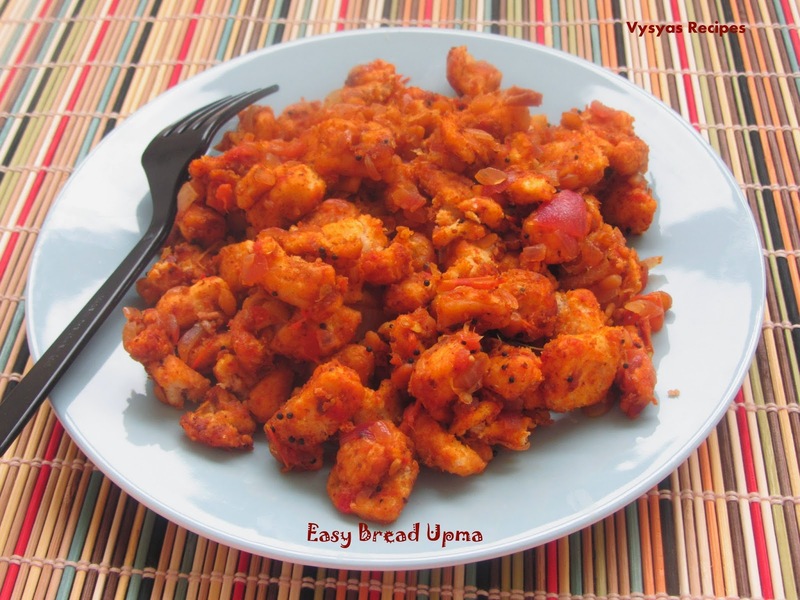 Bread Upma is a Easy & quick bachelor recipe made with bread and Spice Powders. This upma can be prepared in Jiffy. This upma can be prepared with either brown or white bread. Bread when Coated with onion tomato mixture & spice powders, will gives awesome taste. Saute the bread slices, in a tsp of Ghee until it turns Golden brown here and there, and keep it aside. Heat the oil, add mustard seeds,when it splutters add chana dal,urad dal, Green chillies, curry leaves and Ginger. When dal's turns golden brown colour, add onions, saute till onion's turns pink. Then add tomatoes,chillipowder, coriander powder, turmeric powder and salt. When tomatoes turns mushy, add bread cubes. Mix/toss till the bread, gets evenly coated with masala. The best way to use bread that has been sitting on the shelf. Turning it into a nice spicy bread upma. 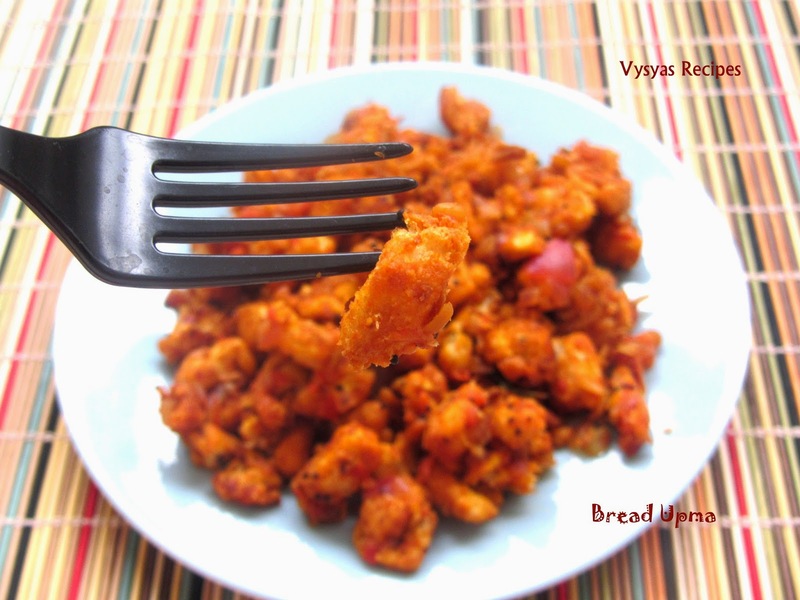 The bread upma with all those spices and flavors sounds divine. Got to try it some time soon.